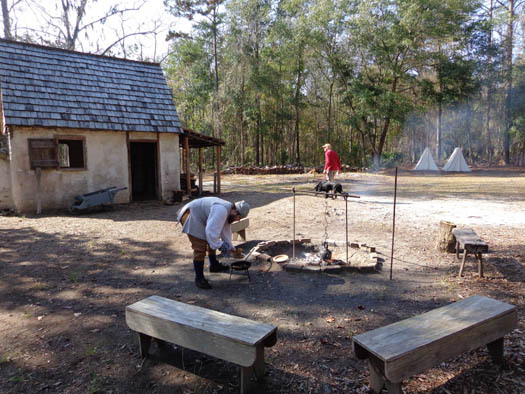 special programs, costumed staff show skills and crafts necessary to early settlers." On a Saturday soon after we arrived in Savannah we decided to visit this historic site, which was part of one of the original plantations in the area. We enjoyed the scenic drive back to the main area of the site, the early Georgia history we learned, and the exercise we got walking along the trails. Two dates are engraved in the stone: 1733, when Noble Jones arrived in Savannah, and 1913, the year the arch was erected. 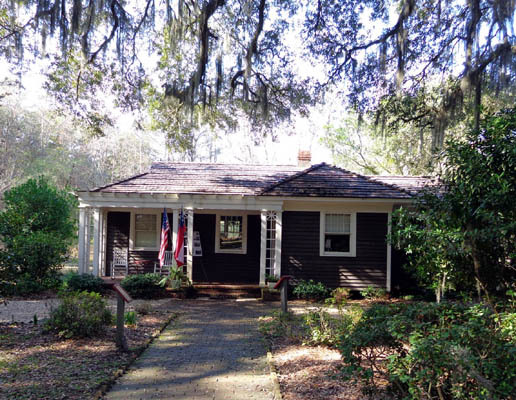 Now the building is the entrance station where visitors pay their entry fee ($10 per person or $9 senior/military rate) and begin learning about the history of the plantation. 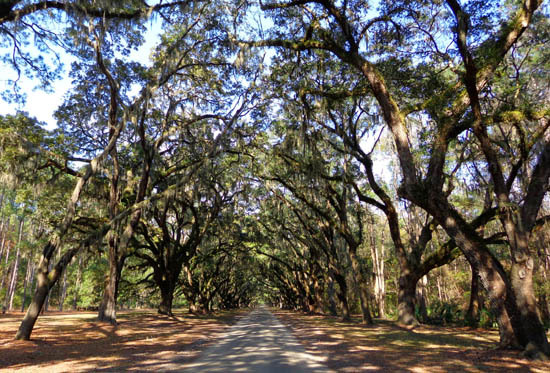 While scanning the information we picked up about the area at the Savannah visitor center I saw a photo of the huge live oaks along this beautiful road. 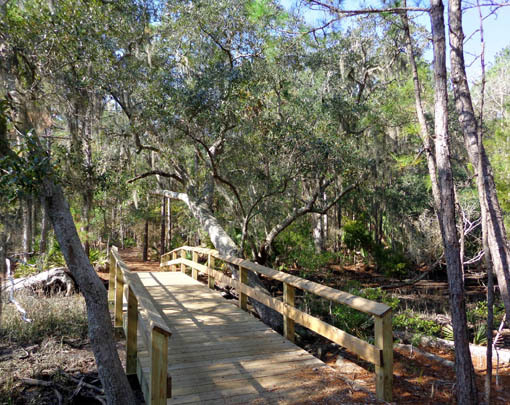 It was one of the reasons I wanted to go to Wormsloe. Honestly, I was just as interested in the scenic drive back to the main part of the historic site as I was in seeing what was back there! Four hundred of these now-large trees were planted along the avenue in the late 1890s by one of Jones' heirs. It is such a treat to drive under their twisted branches loaded with Spanish moss for over a mile and back again. 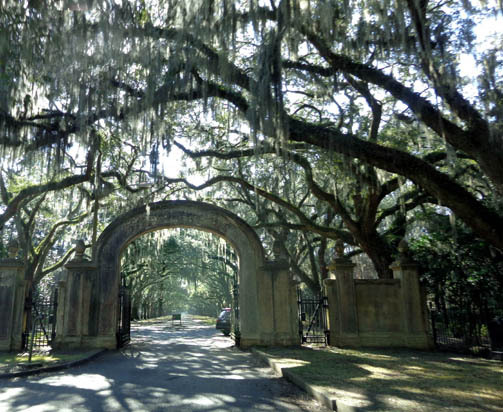 Some of the live oaks at Bonaventure Cemetery are 250+ years old so these should have many good years ahead of them. To fully appreciate the photos in this entry I need to share a bit of the history of the place. This information is from the two brochures we got at the entrance. 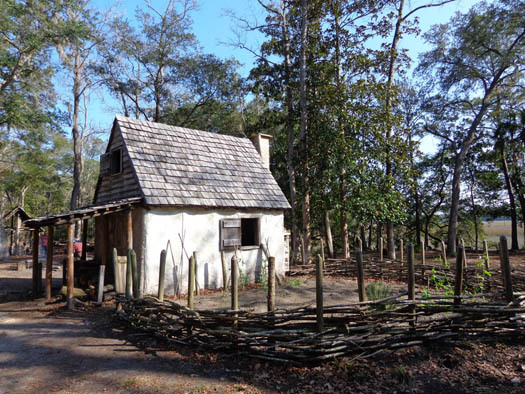 Wormsloe began as the colonial estate constructed by Noble Jones, one of Georgia's first settlers. 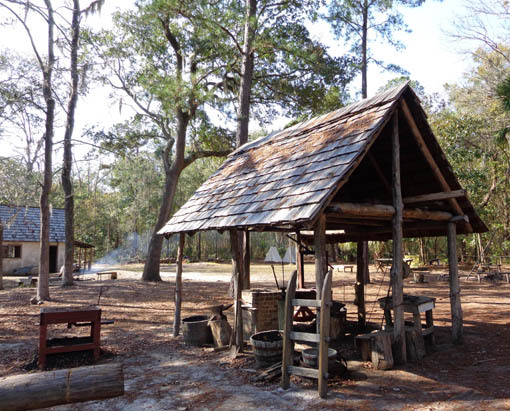 Jones was one of the 114 English colonists who came to the Savannah area in 1733 with James Oglethorpe. His wife, daughter, and oldest son also came with him. 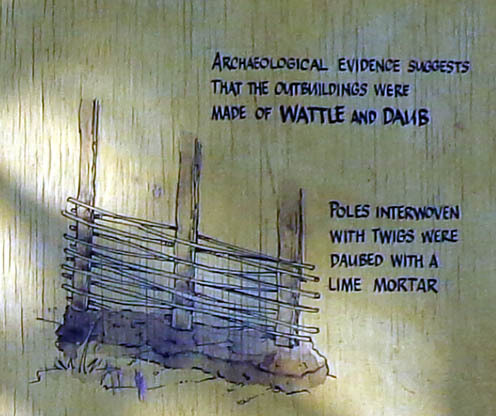 Noble W. Jones; these are on display in the museum at the Wormsloe visitor center. 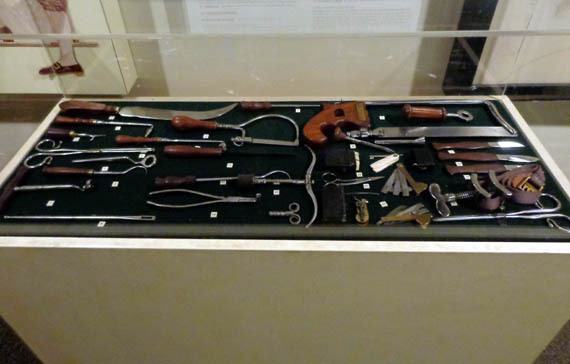 In England, Jones was a physician, surveyor, and carpenter. 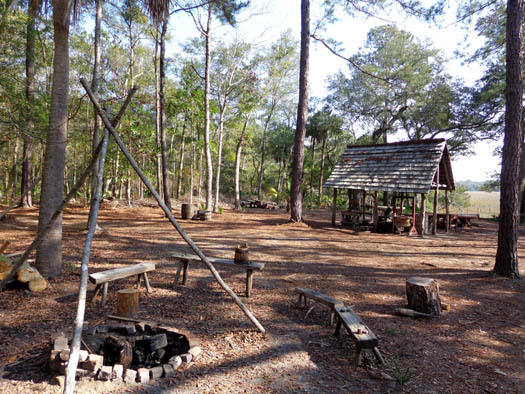 He learned even more skills in the Georgia wilderness and became quite indispensable to the young colony. He commanded a company of marines charged with Georgia's coastal defense, served as constable and Indian agent, laid out the towns of Augusta and New Ebenezer, was a member of the Royal Council, and held a variety of other public posts in the new colony. 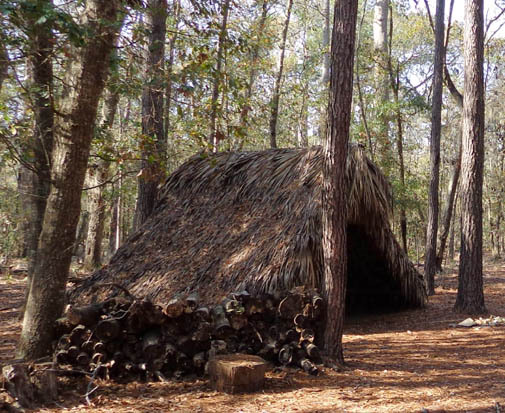 As one of the historic site brochures states, "Perhaps most importantly, he was one of the few original settlers to survive hunger, plague, Indians, Spaniards, and a new environment." 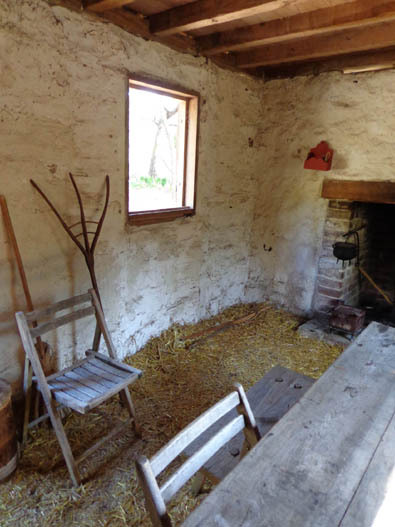 In the early years the family cleared about 14 acres of land to raise cattle and plant vegetables, fruit, fruit trees, and mulberry trees for silk. 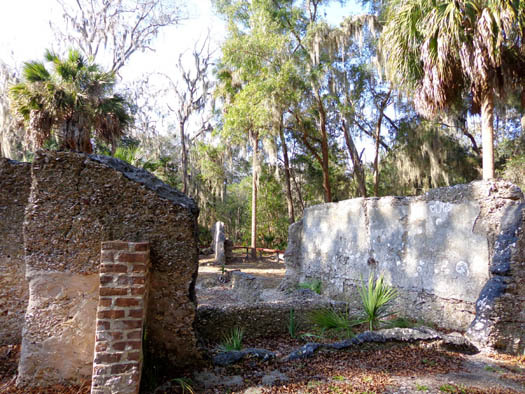 Jones leased 500 acres on the Isle of Hope from the colony's Trustees in 1736. Twenty years later he received a royal grant conveying ownership of the property to him. 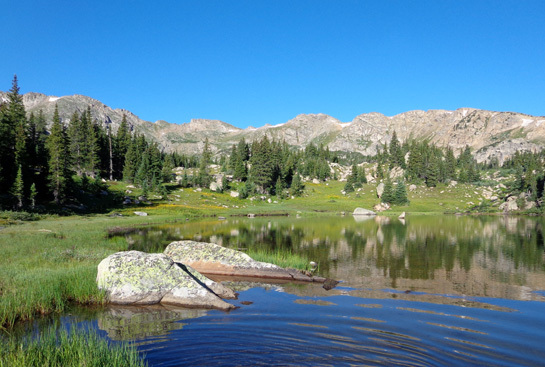 The land (and more acquired through the years) remained in his heirs' hands until 1972, when his descendants donated 822 acres to the Nature Conservancy. 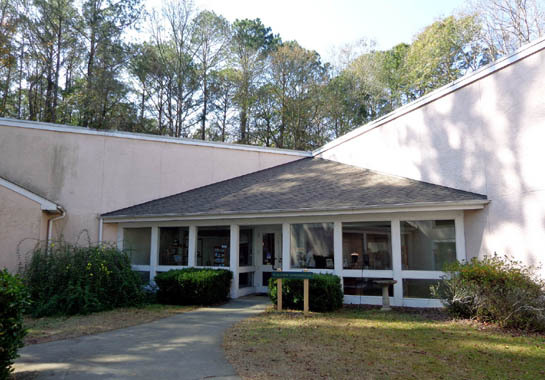 That organization sold the property to the state of Georgia the next year. 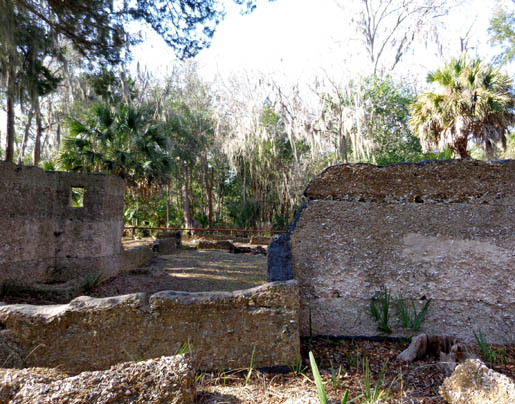 About 80 acres of the original plantation, including a house built in 1828, are still owned by descendants of Noble Jones. 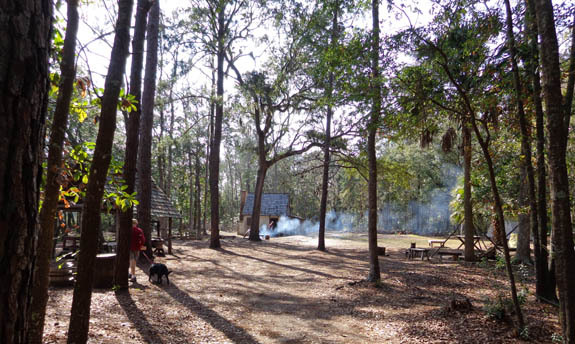 Visitors pass that property on the way back to the visitor center and ruins of the original tabby house. After enjoying the peaceful drive back to the visitor center we found a nice, shady spot to park under the sprawling oak trees. We had both dogs with us in the truck. Dogs other than service animals aren't allowed inside the visitor center but they are permitted on-leash throughout the rest of the historic site. Although it was shady, the Savannah area set a new record high for that mid-January date (81 F.) so we couldn't spend more than a few minutes inside the building, even with four windows cracked a couple inches and water available in the truck for them to drink if they got thirsty while waiting for us. Once inside the visitor center we watched a short video about the founding of the 13th colony and the family that has owned this plantation since the early1730s. We quickly browsed the historical artifacts and exhibits in the museum, then went back outside to get Casey and Cody. 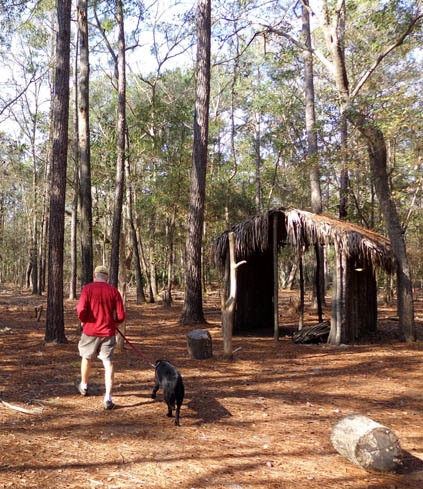 We took the dogs with us on the shaded, sandy, one-mile trail around the grounds, visiting the site of the original tabby house, a grave, an observation deck over the marsh, and two living history areas. Tabby is made from four materials found in abundance along coastal Georgia and Florida -- lime, sand, oyster shells, and water. 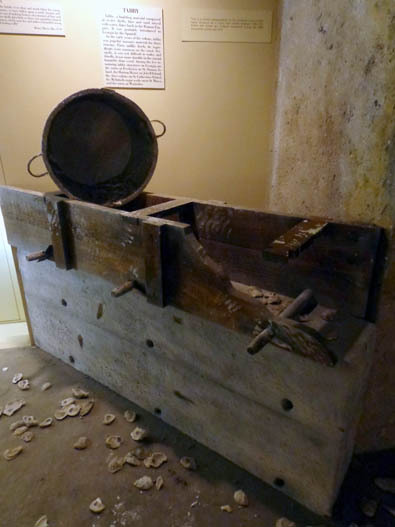 After mixed, the wet ingredients were poured into wooden molds to solidify for several days like concrete. When the mixture was set, the molds were removed and reassembled on top of the hardened tabby and another layer was poured. 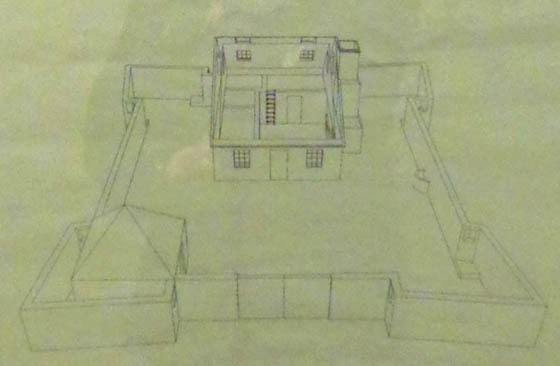 The original house was 1� stories high and contained five rooms, making it one of the largest dwellings in the Savannah area at the time. Noble Jones was buried there in 1775 next to his wife and later, one of his sons. No one is buried there now. 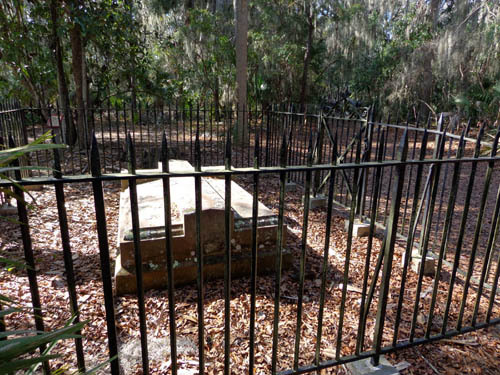 Sometime in the 1800s his great-grandson, George Wymberley Jones De Renne, had his ancestors' remains moved to Bonaventure Cemetery. In 1875 he had this stone monument placed at the gravesite. We got there about noon, between two living history presentations. 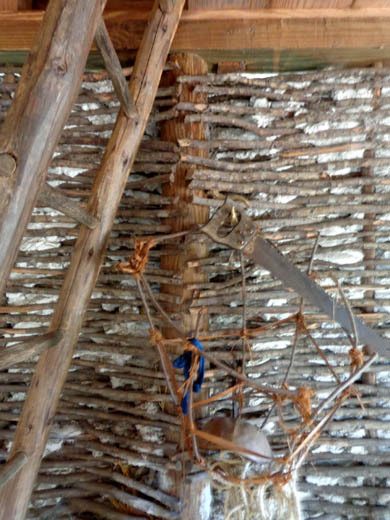 It was interesting to see one of the re-enactors cooking his own lunch over the fire he used in his demonstrations! We missed the four living history presentations that day at 10,11,2, and 3. It was just too hot and humid to hang around any longer, even though we were mostly in the shade. 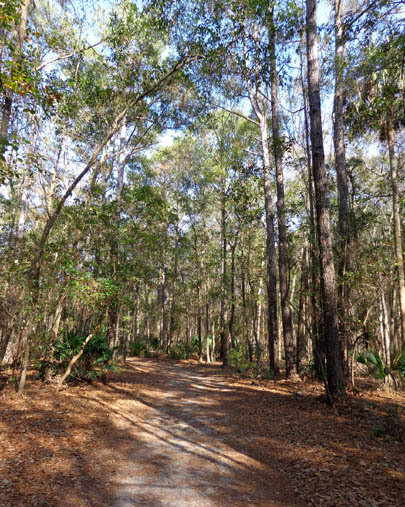 Much of the plantation reverted to a long-leaf pine forest by the mid-1900s. 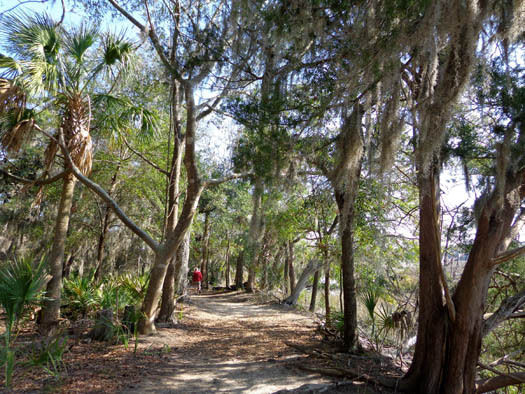 If you're interested in more historical details about the Jones family and Wormsloe from 1733 to the present day you can read more about them on Wikipedia, which surprisingly has more information than the official Wormsloe web page. Better yet, go see the place for yourself the next time you're in Georgia . . .